Simply enter your website URL (chameleonwebservices.co.uk) into the box below. 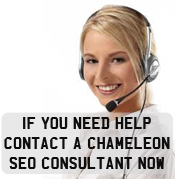 The FREE search engine optimisation information is used at your own risk and Chameleon only provide this information as a reference for an SEO Consultant to be able to use. You do not need to add www. simply enter full domain name without the www. The Chameleon FREE Search Engine Optimisation SEO Tools provides you with the information you need to understand what data Google is gathering on a website. The FREE search engine optimization analysis tool is designed to help you analyze and understand how websites maybe ranking for potential keywords in a sector by showing you the data that search engine spiders get in a format that is human readable. The Title, Meta Description and Meta Keywords data is important but remember the relationship to the actual on-page content of the website is important and if your website was ranking highly and is not now then you may find that you have mentioned the keywords too many times. Our FREE SEO tool shows you the number of times that keywords are mentioned on the webpage and this is often something that needs to be corrected as you might fall into the trap of keywords spamming. This information is available due to people visiting our FREE SEO tool and searching for information. This information is not negative in anyway to a website and is available to all by simply viewing the source code of the website. To find out more about Internet marketing services and how an SEO services company can produce results that can make your business stronger and more profitable then get in touch with Chameleon today!